Joining the community introduces a world of benefits, which you can see below. For all Annual Spacecubed Community members,Â StripeÂ will waive all fees on your first $25,000 of card transactions processed in the first year withÂ Stripe. That is, the first $25,000 is completely free. In addition to this, Stripe offer free access to one-on-one information sessions. To activate the deal, send an email toÂ info@spacecubed.comÂ and weâ€™ll get the Stripe team to make the arrangements to your account. The eCommerce Platform Built for Professionals â€“Â LemonStandÂ helps fast growing brands and the web agencies they work with to create beautiful eCommerce websites that stand out from the crowd, so that they can sell more and grow faster.Â LemonStand will provide a 30% discount for the first 12 months for each Spacecubed Member on any of our subscription plans (save anywhere from $175-1400). ContactÂ info@spacecubed.comÂ to get the promo code. VentureCastÂ is passionate about helping all entrepreneurs, start-ups and existing businesses get funded by using their cloud-based, Business Planning and Financial Forecasting tools. They simplify the path to pitching, whether youâ€™re seeking VC, bank, crowd or grant funding!Â As a member of Spacecubed, you are eligible to a 25% discount on all VentureCast subscriptions for the first six months. To redeem your voucher code just contact the Spacecubed team atÂ info@spacecubed.comÂ andÂ sign up here. Saasu FuturesÂ is offering their online accounting software (medium plan) to Spacecubed members free of chargeâ€”and without any obligationâ€”for 12 months!Â This gives start-ups and their advisors real-time insight into their business performance from Day 1â€”so thereâ€™s no ambiguity when it comes to making those crucial decisions. To take advantage sign up for a free account then emailÂ support@saasu.com.auÂ with your filename and that you are a member of Spacecubed and then we will confirm. Getting your message out and engaging your audience is so important for all startup and emerging businesses whether pitching, business development or delivering a presentation to a group.Â PrezenttÂ is a live slide-sharing application that works on any device with a browser. It enables presenters to connect with their audiences precisely when the audience is most interested: during the presentation.Â Prezentt will provide a discounted price of $60 for the first 12 months for each Spacecubed Member (save 75%) and deliver unlimited presentations. All of your attendees to a presentation can use Prezentt for free. PozibleÂ is partnering with Spacecubed to offer grassroots support for emerging and established practitioners through crowdfunding. The team at Pozible are passionate supporters of co-working spaces, and how they can foster creativity, innovation and entrepreneurship, and believe that crowd funding can help co-workers to build a greater audience for their projects.Â As part of this parternship, Pozible will offer all Spacecubed members who want to hold aÂ crowd funding eventÂ a discounted service fee, and will facilitate or host free workshops on crowd funding for the Spacecubed network. Gooding PartnersÂ are partnering with Spacecubed to provide members with quality accounting, taxation, and business advisory services. Gooding Partners are strong advocates for startup businesses, having been involved in the sponsorship of the Startup Smart Awards for the past 4 years. Spacecubed members will have access to special rates on a range of services designed to help startups and small businesses launch and grow. RoundedÂ are now working with Spacecubed to enable members to take better control of their finances without the need for financial expertise. The Sydney based startup is an active member of the Australian coworking community, and has developed Rounded as a simple accounting app thatâ€™s designed by Freelancers for Freelancers. Rounded is offering Spacecubed Members a free 12 months access.Â Contact usÂ to take advantage of this offer. Spacecubed is now working closely withÂ Amazon Web Services, providing startups with low cost, easy to use infrastructure needed to scale and grow any size business. AWS Activate is a program designed to provide startups with resources they need to get started on AWS. Join some of the fastest-growing startups in the world and build your business using AWS!Â Contact us nowÂ for member benefits using this service. AWS is only available for those on a coworking membership or above, see the community host for more details. Pin Payments is an online payment platform designed for small business. We build intentionally simple software to help our customers accept card payments, whether they run an online store, sell subscriptions, invoice clients, or are building something special. Spacecubed members can contact sales@pinpayments.com to redeem up to $15,000 of discount, dedicated support and more. Exclusive to our Members, you can save 10% on a range of Varidesk products to make you work more productively, work smarter, and work more creatively. With a range of sit-stand desks available to support your physical well being, become a member now to access this discount. Scale Partners is a boutique professional services firm, with a focus on startups and tech SMEs. Clients deal with our expert partners (lawyers, tax accountants, CFOs, etc), but with a more flexible and startup-friendly pricing model than youâ€™d get from traditional advisory firms. We understand startups: our clients include Spacecubed, Data Republic, Unearthed, iCetana, Velpic, APE Mobile, Probax, and Iron Matrix. Scale Partners are offering Spacecubed members 15% discount on tax, HR, legal and CFO services. GoCasual isÂ a job board that cares for youth, startups and small businesses. They help startups to easily find young talent for free, allowing them to focus on growing their business. Spacecubed members are entitled to sign-up to post jobs for free.Â Contact SpacecubedÂ to get the free access. Bilingual by Five is partnering with Spacecubed to provide members with quality childcare in the heart of the city. Opening in July 2018, their team of qualified and experienced educators will facilitate art, music, drama and sports programs as well as providing children with a nutritious and yummy menu. Their program also embeds two languages into everything they do, and they'reÂ proud to be Perth's first English-Mandarin early learning centre. Speak to us about joining the waitlist and the Spacecubed members discount. SupportHub360 provides cost-effective technology outsourcing solutions tailored to meet the unique needs of organisations and businesses of all sizes. By availing our low cost, professionally managed full time or shared web developers, software engineers, SEO & Digital experts and IT engineers, organisations can reduce the back office development and support costs by 70%. Â SupportHub360 will provide Spacecubed members with a 20% discount, to redeem this benefit email info@spacecubed.com. Hatchet are specialists in online solutions. They are offering their boutique website hosting service to Spacecubed members with a 15% discount and will help you get your website migrated for free. If you are looking for local support (Hatchet are Spacecubed residents), free SSL certificate, WordPress optimised, daily/secure backups and an enterprise grade system built for performance on top of Amazon Web Services Hatchet are the team to go to. Contact Daniel or Matt at hello@hatchet.com.au to get started today. Myall Wellbeing inspire others to make healthy life choices and help people integrate work and life more joyfully. Members of Spacecubed can enjoy one month of unlimited yoga and meditation for just $59 and a 10% discount on any regular membership options. Simply email emma@myallwellbeing.com to learn more about this great deal. 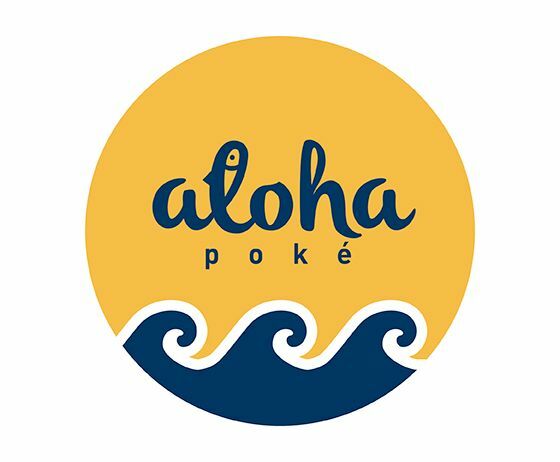 At Aloha PokÃ© Bowl, the team objective is sweet and simple. To provide a healthy, tasty meals that are made of the highest quality ingredients. As a Spacecubed member, enjoy 10% off every meal. To learn more about this offer, please contact info@spacecubed.com and prepare to taste the freshness of Hawaii at Aloha PokÃ©. Jugglr is a local gig economy player connecting professional mothers to local fully-flexible work, and local businesses with professionals on-demand. As part of the Perth Startup Community, Jugglr is offering all Spacecubed members a 60 day free trial of their premium services. Simply create a free account and email Elio at e@jugglrapp.com to be included in the free trial.